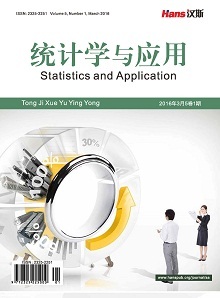 Under the conditions of achieving the human balanced nutrition and meeting the need of health, this article uses Spss software to filter out the main fruits and vegetables, establishes a prey-pre- dator model for the consumption and supply of fruits and vegetables, does the analysis of the qua-litative theory of ordinary differential equation and MATLAB numerical prediction with the model, and gives the strategic adjustment about fruits and vegetables production of China in 2020. 中国营养学会 (1998) 中国居民膳食指南及平衡膳食宝塔. 营养学报, 4, 387-397. 侯媛媛, 王礼力 (2010) 基于主成分分析基础上的中国蔬菜家庭消费预测. 统计观察, 23, 91-93. 汪晓银, 谭劲英, 谭砚文 (2006) 城乡居民年人均蔬菜消费量长期趋势分析. 湖北农业科学, 2, 135-137. 汪晓银, 刘大集, 祁春节 (2006) 我国蔬菜总产的主成分回归模型的构建及预测. 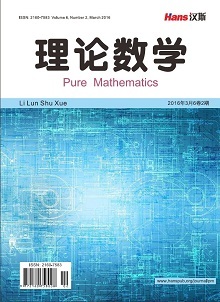 农业系统科学与综合研究, 2, 132-135. 汪晓银 (2004) 中国蔬菜生产、消费与贸易研究—一个供需平衡的计量经济分析框架. 硕士论文, 华中农业大学, 武汉. 马知恩 (1996) 种群生态学的数学建模与研究. 安徽教育出版社, 合肥. 张芷芬, 丁同仁, 黄文灶, 董镇喜 (1985) 微分方程定性理论. 科学出版社, 北京.